When will be Sophy Ridge on Sunday next episode air date? Is Sophy Ridge on Sunday renewed or cancelled? Where to countdown Sophy Ridge on Sunday air dates? 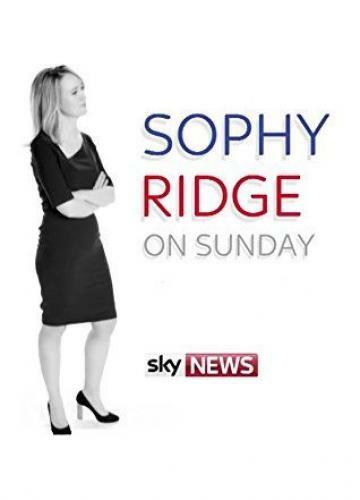 Is Sophy Ridge on Sunday worth watching? Sky News is launching a new dynamic Sunday morning programme hosted by former political correspondent, Sophy Ridge. Sophy Ridge on Sunday will be a one hour programme broadcast at 10am that will focus on the political week in Westminster and what it means for the lives of the wider public.The show will pick up on the mood of the nation as Brexit negotiations begin, and will examine how policy decisions will affect the lives of the electorate.There will be a major interview at the top of the hour, a special weekly feature ‘Ridge on the Road' where Sophy explores how the country is reacting to Westminster, paper reviews and analysis from the Sky News specialist team on the week's major stories. Sophy Ridge on Sunday next episode air date provides TVMaze for you. EpisoDate.com is your TV show guide to Countdown Sophy Ridge on Sunday Episode Air Dates and to stay in touch with Sophy Ridge on Sunday next episode Air Date and your others favorite TV Shows. Add the shows you like to a "Watchlist" and let the site take it from there.